The fraternal twin to our Green Steal Your Soul, definitely related but just different enough. 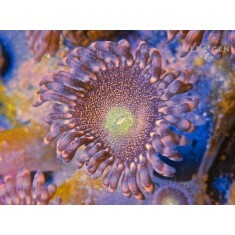 Here'..
Sizes: Small: ~3-4 polyps Medium: ~7-10 polyps .. 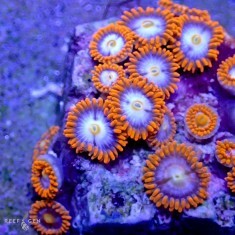 This is a new zoa which is arguably our favorite one at the moment. 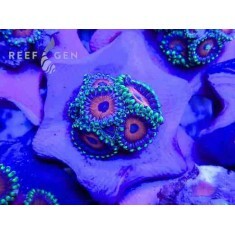 Sw.. 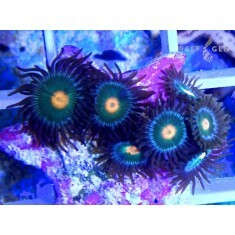 These fat big-eyed beauties are stunning under all lighting! 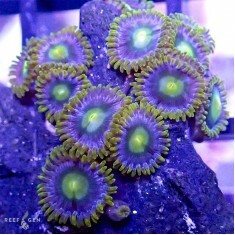 Originating from famous reef ta..
A new take on the popular Fire and Ice zoanthid, these spectacular zoanthids are another of Justin's..
Large flat polyps with a fascinating pink and purple combination. This.. 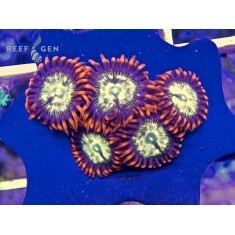 These cornflower blue babies are striped with contrasting layers of .. 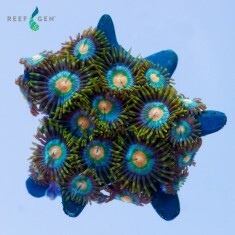 This is a new paly which is incredibly unique and beautiful. It f.. 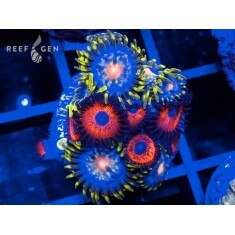 Dynamic colored stunners, looking different yet equally brilliant under a variety of lighting. 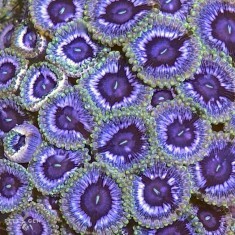 Brigh..
We love these fast growing gorgeous zoanthids. 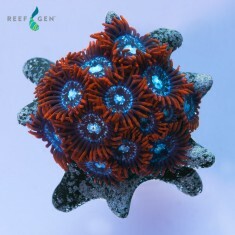 Flaming red skirt, bright blue rime, and a yellow/pin..
Mined from the depths of ReefGen’s gem troughs, this exquisite zoant.. 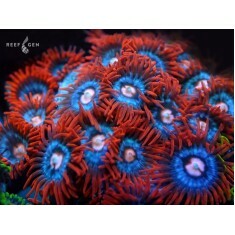 Brilliant contrast between the scarlet red rims and deep blue centers, this zoanthid has been carefu.. 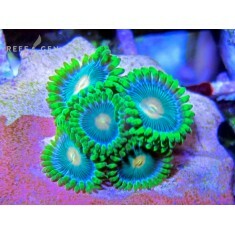 Size: ~4 polyps Small ~7-10 polyps Medium ..
Why “ultra?” These special beauties have evolved flaming florescent red skirts with orbi..
Ultra Zoa Combo Frag We have meticulously combined our most coveted aquacultured zoanthids on our..
A stunning zoa with glowing green and blue layers. 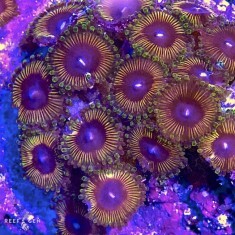 Any mind meld will tell you the impact these zoas..
Frilly green tentacles surround a blue-purple disc and bright orange mouths. 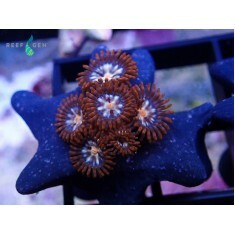 Lovely large zoas that .. 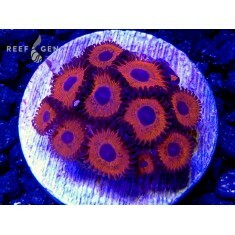 These large pink zoas have the most delicate pattern in our collection. 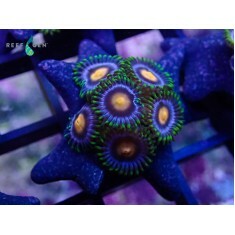 They feature a beautif.. 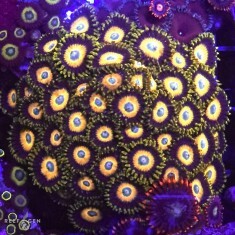 These striking zoas hale from Mr. Josh Saul and are Laura's favorite. 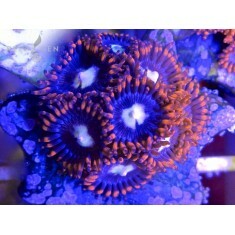 They are incredibly fluo..